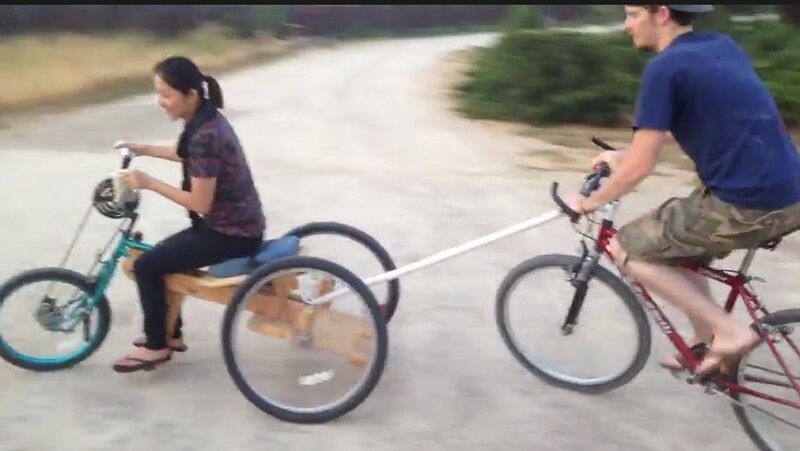 Handcycles! Now with a Buddy Bar! The Handcycle is a completely handmade + economic mobility solution, allowing users to power movement with their hands. 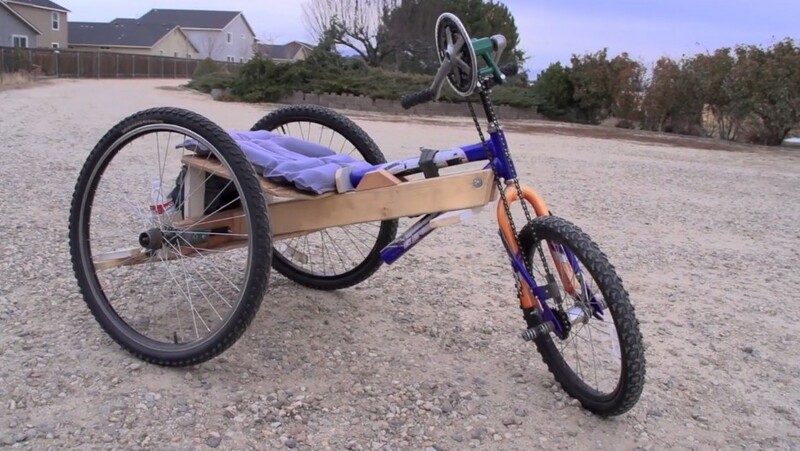 Idaho Bob’s handcycle requires only the most basic crafting skills and materials, creating a mobility solution far cheaper than most manual wheelchairs…..materials in overview include parts from two bicycles, wood, common fasteners and blue jeans (for the lap belt and seat). We can send free plans to anyone, so that you can make one for yourself! Contact us here. Bob has an awesome site with a number of other practical solutions for the mobility impaired, including the gardener and beekeeper on his cool site here http://www.rgat.net/#….have a look…it will get you spinning! Assistive Technologies Product: OBOW II with Buddy Bar! Idaho Bob and his crew, have generously said they are willing to make them up for anyone who thinks they could use one. He says they work with regular bikes too! 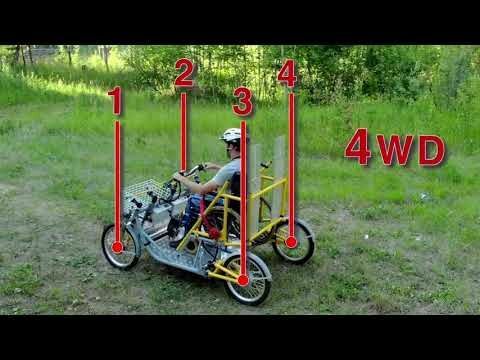 This video shows a Wheelchair electric bike. This is a group of Russian guys, just starting out building these.